Swing down to the Caribbean to sample the flavor of the islands. 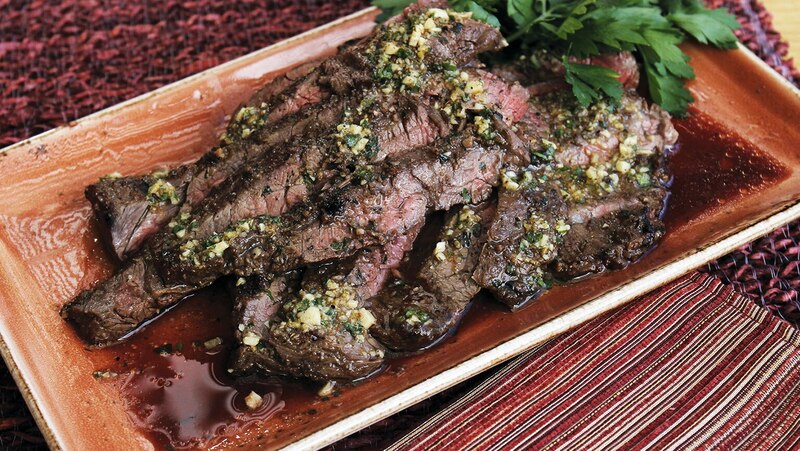 Start with a skirt steak in orange mojo sauce, and move on to an original jerk chicken recipe. Then hop over to the Yucatán for a unique twist on a traditional Mexican dish. Traditionally made with marinated pork, your cochinita pibil dish here is a barbeque halibut with fire-roasted salsa and tortillas.